By A. Stanley & Co. Walsall. 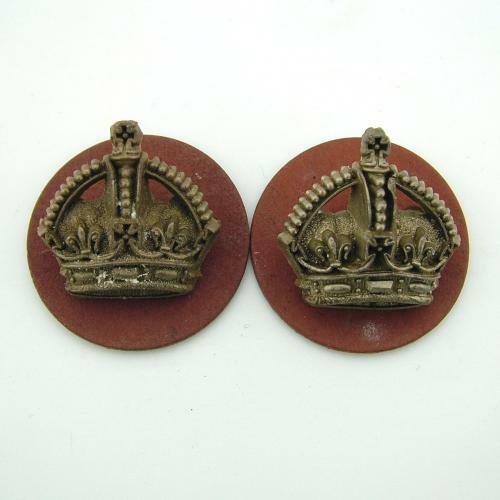 Pair of the rarer gold coloured plastic crowns complete with paxolin type backing plates and split pin rear fixings. A proper matched pair in very good used condition. Stock code U18940.